Compact but spacious, this Tiny Home has full size shower, oven and washing machine, working with the client Tiny Homes Perth provided concept to completion. Have an idea? Talk to Simon at Tiny Homes Perth today, because at Tiny Homes Perth we can turn a simple idea into reality. Our services include finding out exactly what kind of Tiny Home you want. From a simple sketch, a picture or even bullet point comments, we will consider all of your thoughts and ideas. At Tiny Homes Perth we consult you about your wants and needs, your lifestyle, location and the purpose of your Tiny Home, so that we can create the perfect accommodation for you. Using this information we create a concept and devise a floor plan best suited to your needs. 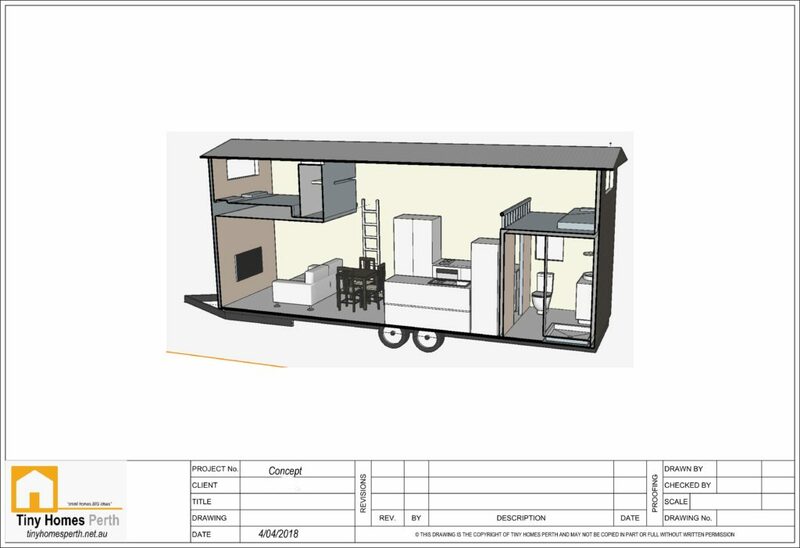 After we have discussed your design, we then create a 3D drawing of your Tiny Home to give you a better idea of how the finished product will look. Alternatively, if you already have a completed design, Tiny Homes Perth can give you a building quote and suggest ideas to improve the design to ensure that the Tiny Home is constructed of materials suitable for towing. There is no commitment at this early stage, we only offer you our help, inspiring you to get started on making your dream of living the Tiny Lifestyle a reality. 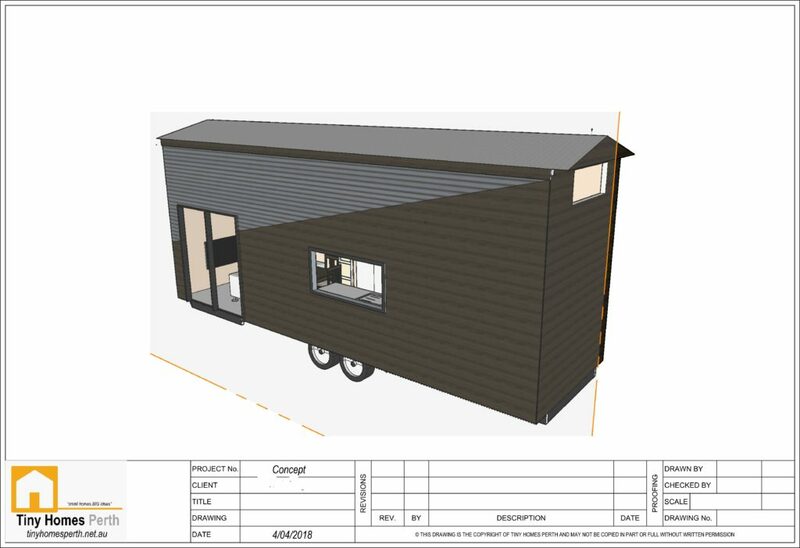 Don't want Tiny Homes Perth to build the entire home? Ask about our Lock-up version which allows you to bring the interior of the home to life after Tiny Homes Perth has finished the hard work of completing the external shell for you! From a small idea, we can create an affordable lifestyle just for you. 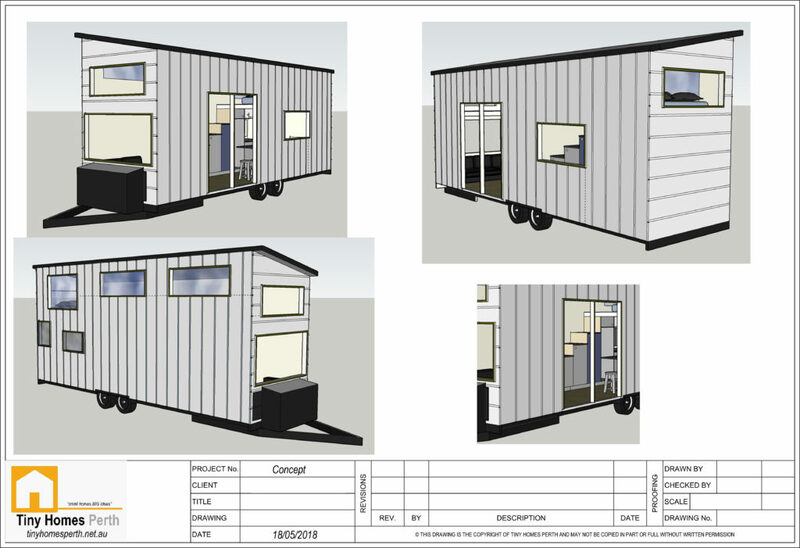 Contact Tiny Homes Perth's General Manager and Owner, Simon Joiner for more details. * What type of lifestyle do you have; what kind of lifestyle do you want? * Where do you propose to locate your Tiny Home? 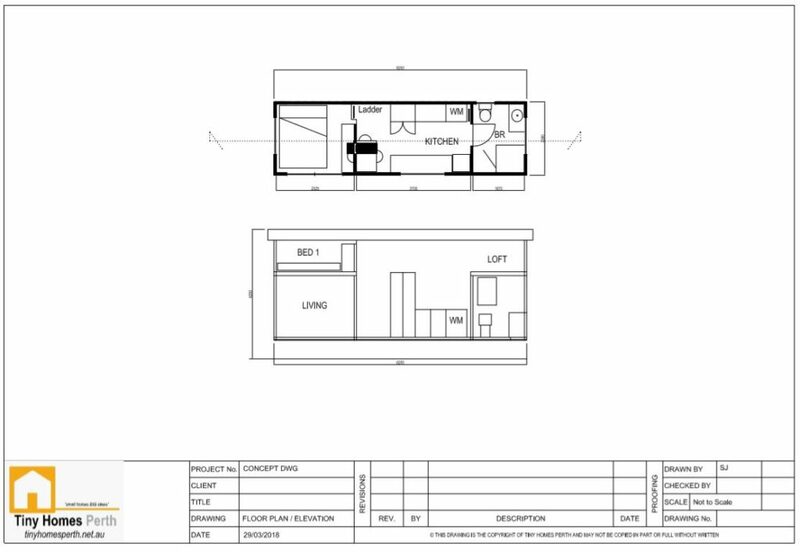 It is through the answers to these and further questions that Tiny Homes Perth is able to produce a concept floor plan and elevation drawing. 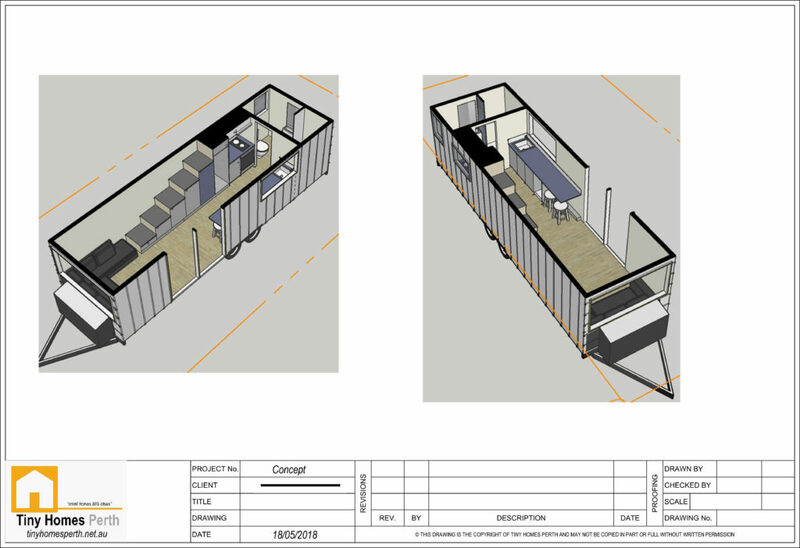 In listening to our client's comments and ideas, we can generate a 3D render of the proposed design, enabling them to gain a better insight into how the Tiny Home will look. We continue to work through the design, making any changes necessary until it fits the client's brief. The following design is for a Tiny Home built to Lock-up stage. At Tiny Homes Perth we provide a 3D render, working with the client to provide them with a vision which they can complete. In order for windows to be installed in the correct locations, these 3D renders are an extremely important concept. 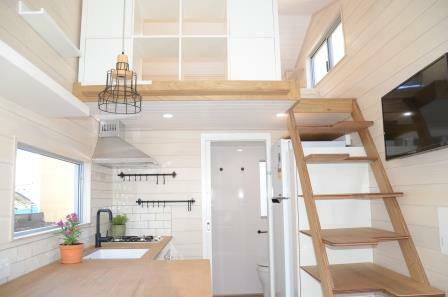 Contact Tiny Homes Perth for further ideas. Contact us today for a friendly chat!